They say that what goes around comes around. Practitioners of Buddhism would call it Karma. 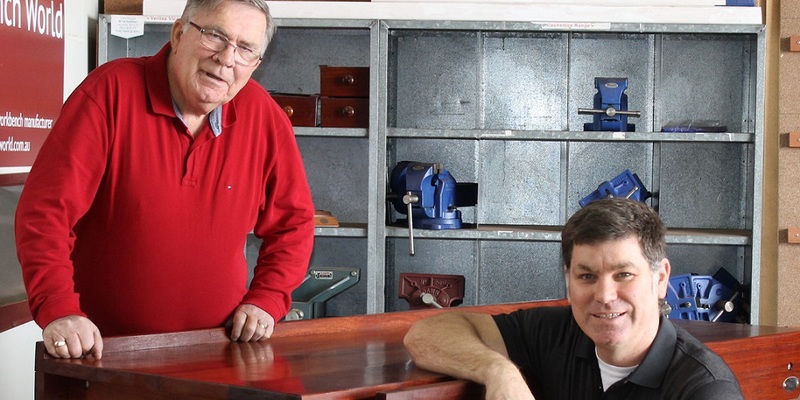 While attending the Woodwork and Craft show Chairman Mike M. won the door prize, a 1.8m long x 750mm wide by 900mm high solid Jarrah work bench from Workbench World in Myaree retailing at over $2000. Mike has decided to donate the bench to the Mens Shed where he insists it will be put to best use. Outstanding!